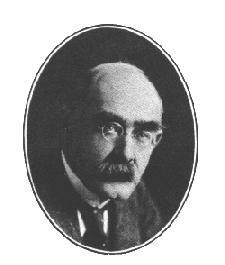 ﻿ Poetry Lovers' Page - Rudyard Kipling: "Back To the Army Again"
You are here: Home » British/American Poets » Rudyard Kipling » "Back To the Army Again"
An' I'm learnin' the damned old goose-step along o' the new recruits! I'm back to the Army again! An' now you can make your fortune -- the same as your orf'cers do." 'Ow did I learn to do right-about-turn? Beside "Reserve" agin' him -- 'e'd better be never made. An' I thought of 'Er Majesty's barricks, an' I thought I'd go an' see. When me an' the other rookies come under the barrik-gate. 'Oo would ha' thought I could carry an' port? I took my bath, an' I wallered -- for, Gawd, I needed it so! I smelt the smell o' the barricks, I 'eard the bugles go. An' I sez to my flutterin' 'eart-strings, I sez to 'em, "Peace, be still!" 'Oo said I knew when the troopship was due? I carried my slops to the tailor; I sez to 'im, "None o' your lip! But I thought you was used to the business!" an' so 'e done what I said. Rather too free with my fancies? Wot -- me? An' -- any pore beggar that wants it can draw my fourpence a day! In learnin' the others their trade -- parade! An' back to the Army again!